SHOOT would like to wish Alex Oxlade-Chamberlain many happy returns as the England international celebrates his 25th birthday this evening! The Liverpool star, who has 32 international caps for his country, only joined The Reds last August following his reported £35m move from Premier League rivals Arsenal, putting pen to paper on a five-year contract at Anfield. 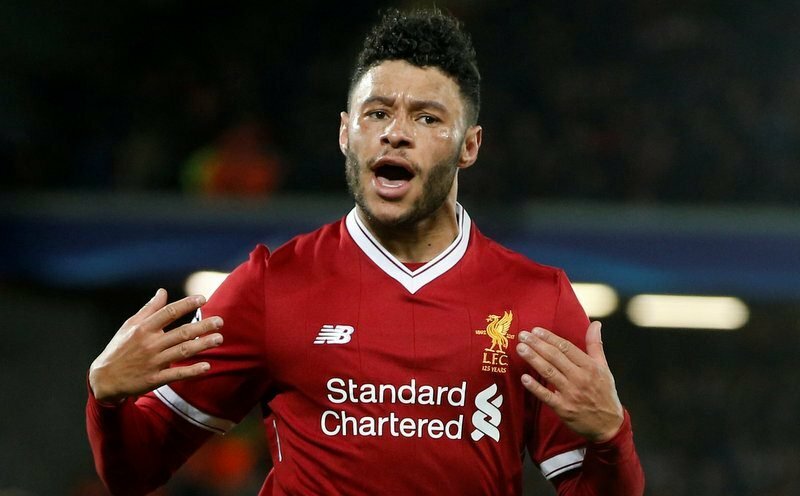 Oxlade-Chamberlain, who began his career at fellow top-flight outfit Southampton, scored five goals and provided eight assists in 42 appearances in all competitions during his debut term with Liverpool last season. Unfortunately for the attacking midfielder, the 25-year-old sustained multiple ligament damage back in April, which ruled him out for the rest of the 2017-18 campaign, the UEFA Champions League final and the 2018 FIFA World Cup finals in Russia this summer. Last month, the club sadly announced that Oxlade-Chamberlain would miss the majority of the current season. But, the England player has posted on social media a workout video from Melwood gym, as he bids to return fitter and stronger for The Reds, and SHOOT wishes him a speedy recovery!